Prezentare Color is all around us and humans start to see colors at the age of 3 months. But how much do you really know about color? "Color Illusions" explores every aspect: from what it is, to how you see it, to the way in which colors make you feel in a fun, interactive format appropriate for children. Featuring pull out tabs, flaps, a multi-use decoder with 3D glasses, plus an amazing pop-up rainbow, "Color Illusions" lets readers uncover hidden images, blend their own colors, and learn color-based jokes and tricks to fool friends and family. Kids will discover which color doesn't actually exist, the color science behind camouflage, how color affects emotions, the symbolic meaning of color in cultures, plus see patterns of circles so bright they appear to be moving and a tie-dye pattern that appears to pulsate before their very eyes. 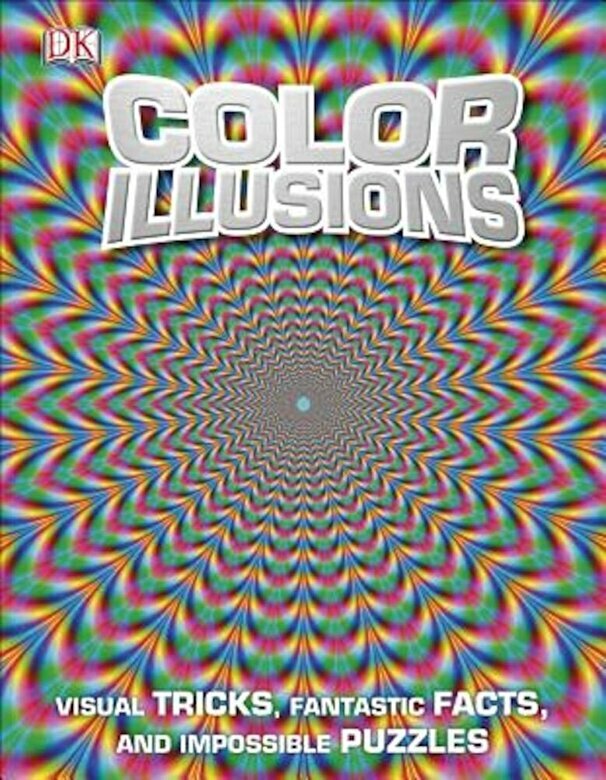 Packaged in a bright kaleidoscopic cover, "Color Illusions" will challenge the minds of young readers and everything they thought they knew about colors.